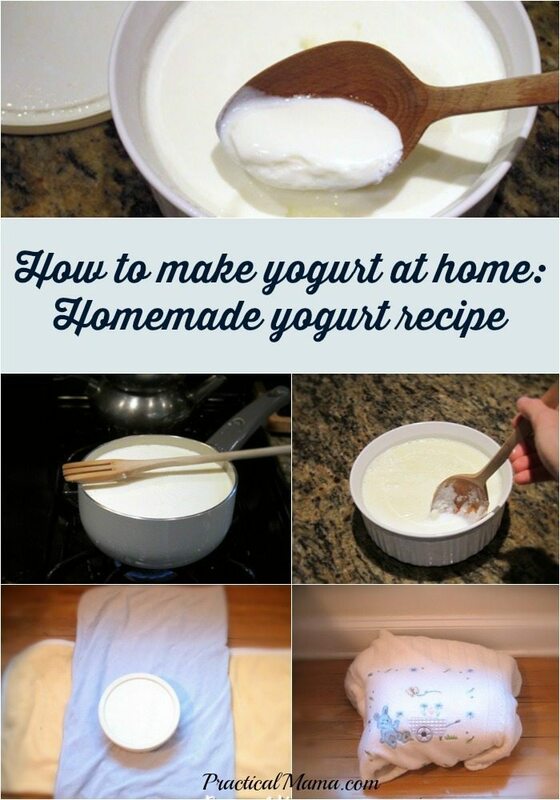 I – try to – make my own homemade yogurt as much as possible. I have to boil the milk first, in order to do that. However, since I neither have the patience nor the attention span to keep an eye on the stove, the milk has a high risk to boil over. 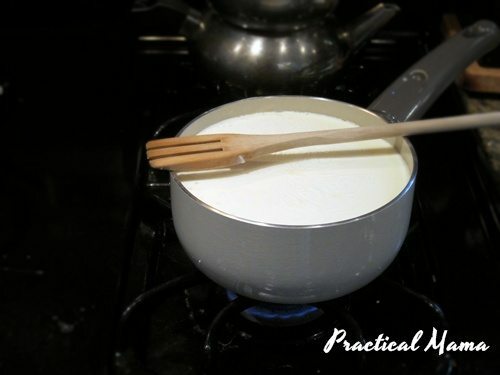 Spilled milk on a stove is pain to clean up so I use this trick to prevent it from boiling over. I put the milk in the saucepan and turn the medium heat on. Then, I put a wooden spoon on the pan. I also set the stove timer and alarm as a second precaution. But the wooden spoon is my security valve. 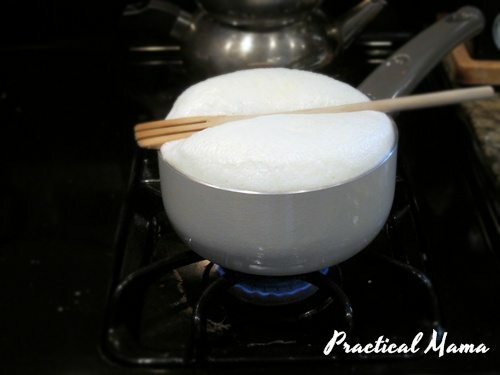 Even if the milk boils and foams up, it does not spill over – as shown in the picture above. 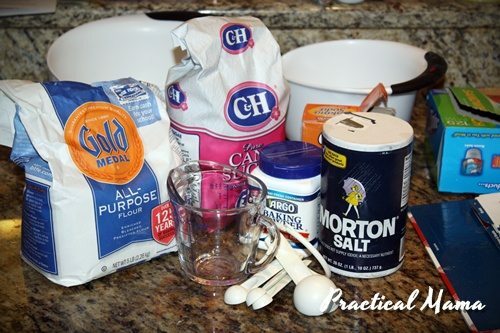 I’ve heard of that working, but always forget to put a spoon over the pot before I boil something! Maybe next time I’ll remember. 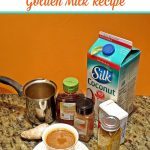 Stopping by from Bloggy Moms, looking forward to reading more from you! Thanks a lot for sharing the good tips. One requestion please, can we use steel spoon instead of wooden spoon?